The Bohinj valley, is set on the edge of the Triglav National Park, which main attraction is its glacial Bohinj Lake. With Mount Triglav, Slovenia’s tallest mountain, in full view, Bohinj is ideal terrain for numerous outdoor activities. 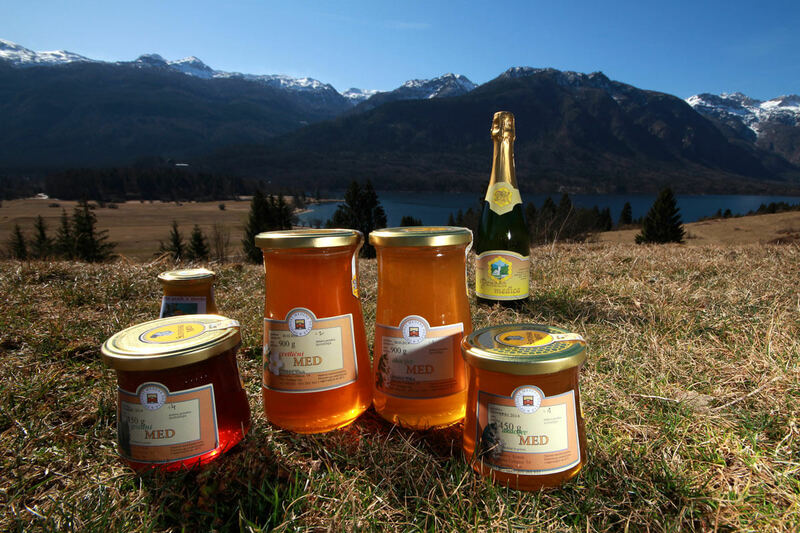 Take pleasure in a cycling excursion, and indulge in honey tasting. Visit a beekeeper who practises bee air therapy. Hop on and cycle along the beautiful Bohinj beekeeping path in the Triglav National Park. Admire the changing landscape along the route while you cycle through alpine fields dotted with wildflowers and forests where the branches form a trellis above your head. Treat yourself to something delicious and taste the traditional honey specialties. Stop for a while to admire the second oldest apiary in Slovenia. 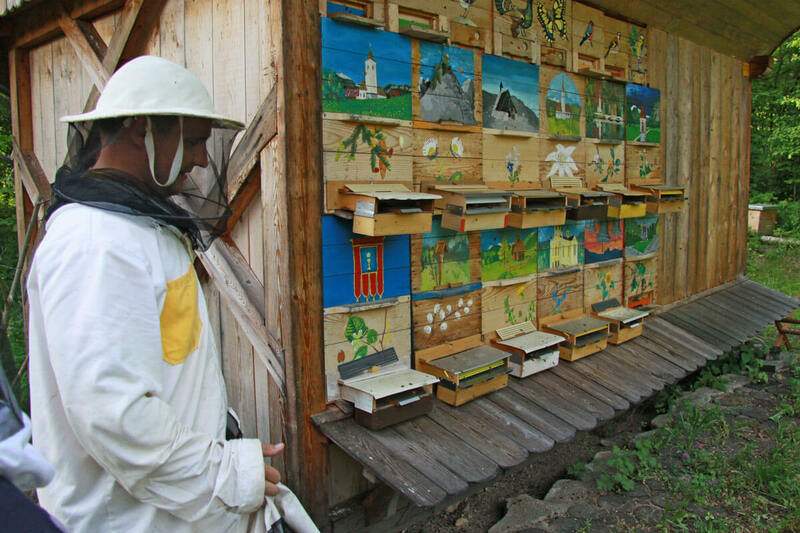 The Čuček apiary is an important beekeeping and cultural heritage of Bohinj and Slovenia. According to experts it is more than two hundred years’ old! Although it is no longer serving its purpose, it has kept its original interior and is an interesting cultural monument to see. Join the presentation of the bee family and observe the bees in the special observation hive. Discover the variety of healthy bee products, from honey, propolis to pollen and mead. 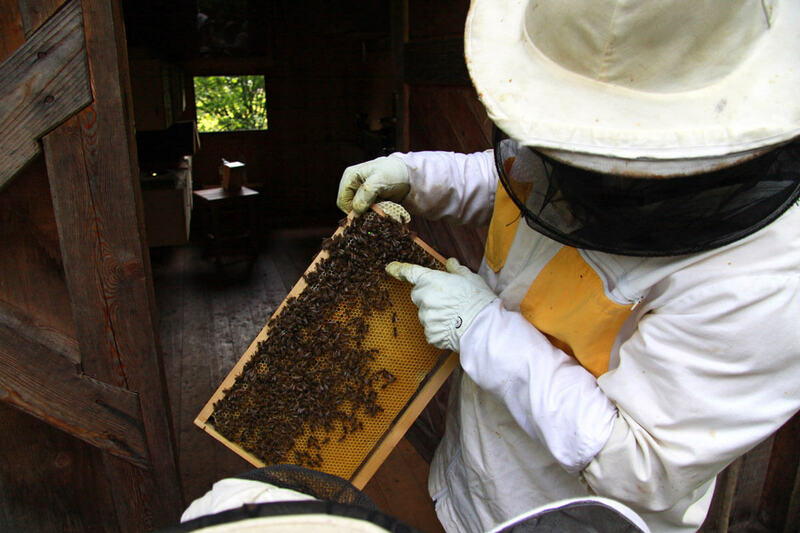 Enjoy honey tasting, and indulge in the healing effects of apitherapy.